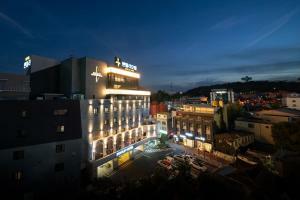 Set 600 metres from Gwangju Art Street, Hotel Goodstay provides accommodation with free WiFi in Gwangju. 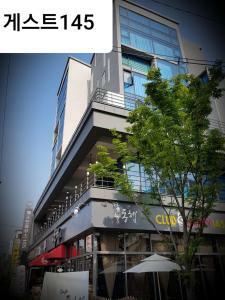 600 metres from Asian Culture Complex, the property is also 3.8 km away from Gwangju Stadium. Gwangju Biennale is 5 km away. 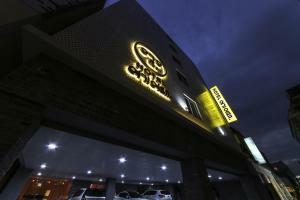 The rooms has air conditioning, a microwave, a toaster, a coffee machine, a bath, free toiletries and a desk. The rooms are fitted with a private bathroom with a hair dryer. Guest rooms will provide guests with a fridge. The reception can provide advice on the area in order to help guests plan their day. 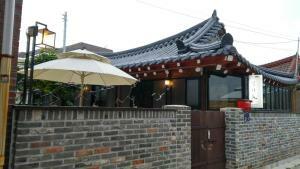 Gwangju National Museum is 6 km from the motel.